If you've been waiting for Google Fiber to come to your city, you can stop waiting. It's not coming. Like Verizon and other carriers that once enthusiastically embraced fiber delivery of broadband, Google parent Alphabet has seen the letters on the wall and they spell "w-i-r-e-l-e-s-s."
The executive in charge of Google Fiber has departed and layoffs are imminent as the company scales back its once ambitious plans to wire cities great and small with fiber. Alphabet said Google Fiber will continue operating in the cities where it already exists: Atlanta, Georgia; Austin, Texas; Charlotte and Raleigh, N.C.; Kansas City, Mo. ; Nashville, Tenn.; and Provo and Salt Lake City, Utah. Also, construction will continue in Huntsville, Ala.; San Antonio, Texas; and San Diego and San Francisco, Calif. But everywhere else, Alphabet said it will "refine our approaches." Verizon has also quietly halted its expansion of FiOS and is instead putting its research dollars into wireless delivery and content, while AT&T is putting its efforts into building a wireless broadband and entertainment colossus. 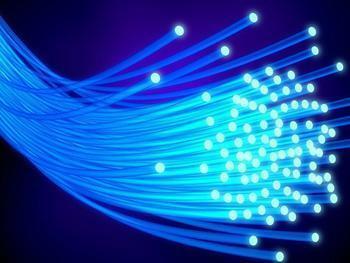 This brings full circle an effort that began in the late 1980s, when the companies that manufacture fiber optic cable began mounting a quiet effort to persuade telecom companies and policymakers that fiber was the way to wire the world and to reshape the regulatory world at which they chafed so hideously. I was then living out a non-compete agreement that prohibited me from working in journalism and was filling the time working the other side of the street -- strategizing government relations approaches for various K Street firms in Washington. One of our clients was a glass manufacturer that saw its future in fiber and engaged us to build a buzz that would make the concept sparkle. It was hard going, not as hard as digging cable trenches perhaps but challenging nonetheless. "You're insane, it would be too expensive," was the usual response from Capitol Hill types and telecommunications executives. Engineers were less complimentary, calling the idea "stupid" and "moronic," to pick a few of the more positive adjectives. But these were the halcyon days when the Telecommunications Act of 1996 was in its gestation period. The average household then paid around $30 a month for telephone service but the hundred-channel potential of fiber promised to change all that and a land rush atmosphere prevailed. Families were being raised in comfort, boats bought and second homes started as the lobbying dollars flowed freely. Anyone remotely related to telecommunications was seeking new frontiers to promote. We thus formed a "public interest organization" dedicated to bringing remote learning and healthcare to a nation that didn't know it needed either. Building such an organization requires, well, organizing, which comes down to working the phone to recruit members and supporters. My very first call was to a well-known former senator who was then known to be on the look-out for business opportunities (i.e., board seats, consulting gigs, and the like). I described our efforts to bring fiber to all as he listened more or less patiently. "This sounds like a front for the telephone company," he finally said. It would have been too easy to say that, no, it was a front for a fiber optic company, so instead I thanked him for his time and repaired to the skunk works to fuzz up the language a bit more. But false starts aside, fiber looked like the pefect technology for an industry looking to rid itself of the bonds of regulation. By being shockingly expensive, it gave telecoms the opportunity to say that they would need protection from excess regulation and a "level playing field" (an overused term that translates to a fenced playing field, meaning protection from competition) if they were to bring the wonders of fiber to America. After all, the argument went, you can't expect companies to sink billions into digging up the nation's streets without ensuring that years of unfettered profits will follow. It was all, of course, a smashing success. No one ever got around to laying fiber to every household, but as the world's longest-running bill mark-up culminated in the Telecom Act, telecoms, cable, and wireless companies were largely freed to plunder the landscape for the next few decades so that the average household now pays well north of $100 for telephone, cable, and wireless service. There are once again, thanks to the fenced playing fields, only a handful of giants ruling the broadband landscape -- AT&T, Verizon, Google, Comcast, and their cousins. Prices are high, and most cities have at most two competing companies. Ah, but wait. Wireless -- specifically 5G (a term that means nothing in particular) -- is the current technology of the future. It will bring streaming video, broadband communications, and a bustling economy to every Middlesex village and town, just as long as the onerous burden of regulation is avoided and a level, well-fenced playing field is provided for all. Or at least for those willing to pay for it.